Olhão is a city (cidade) and municipality (concelho) in the district of Faro (Algarve), the most southern region of Portugal. The story of this young city is directly related to its fishing activities. Olhão is east of Faro, in the eastern Algarve (Sotavento), on the coast of the Ria Formosa Nature Reserve, whose extensive lagoon landscape characterises the area. A string of small islands and peninsulas protects the estuary from the waves of the Atlantic Ocean. Olhão is directly on the National Highway EN125, the main road in the Algarve which links east to west. Exit 15 from the A22 motorway brings you to the city within 15 minutes via good access roads. The train station of the Linha do Algarve, a single track railway line is conveniently located in the city, as is the bus company EVA Transportes. The island Ilha da Armona, which is part of the municipality, is only accessible by boat. Supply of goods and disposal of waste of this inhabited island must be made via ships from the port of Olhão. The most popular beaches are located on the sea side of the islands of the Ria Formosa, Ilha da Armona and Ilha da Culatra. Ferry boats and water taxis provide transport from the dock of Olhão. However, the most beautiful beach on the lagoon side is in Fuseta, a few kilometres east of Olhão. From the port of Olhão there are numerous tours available to the islands and lagoon areas of the Ria Formosa with its rich flora and fauna. Local biologists offer guided tours to observe the birds in this region. Discover for yourself the ecosystem and its most timid inhabitants: chameleons. At the east end of Olhão is the Environmental Education Center of Marim (CEAM), where you can learn many interesting things about the ecological and economic importance of the natural environment of the Ria Formosa. For a very special adventure take a scenic flight over the Ria Formosa aboard an ultralight aircraft with our friend George, who has dedicated many years to this hobby. For those who prefer to play golf the nearest courses are located between Tavira and the Spanish border in the east, and in the so called “Golden Triangle” in Quinta do Lago, Vale do Lobo and Vilamoura west of Faro. They all are less than a 30 minute drive away. The municipal market (Mercado municipal) of Olhão is known as one of the best places in the Algarve to buy a great variety of fresh fish and seafood. Local agricultural produce is also available. Do not miss a visit to the Flea market in Fuseta that takes place on the second Sunday of each month. This market held in the city centre, near the campsite and promenade, is recognised as the largest of its kind in the Algarve and has gained great popularity. In the lagoons of the Ria Formosa there is a notable aquaculture of mussels and oysters. Clams are listed on all menus of any of the local restaurants. Oysters steamed or grilled on charcoal in their own juice, are a delicacy that you cannot find fresher anywhere else in region. At the edge of the Ria Formosa, in the Jardim Pescador Olhanense, close to the municipal market, a Seafood Festival (Festival do Marisco) is held annually lasting for a week in August. Every night, thousands of Olhão’s inhabitants and tourists from around the world enjoy an enormous selection of different seafood dishes. To accompany this there is live music up on a big stage. In the outskirts of Olhão there are several modern hotels and rural resorts with great views to the sea and the peaceful surrounding landscape. One of the best known places is the resort Vila Monte near Moncarapacho. The guest rooms and suites are housed in a 87,000 m2 garden with beautiful old trees and bushes that formed part of the old estate of a German artist (known as Adolfo da Quinta). Anyway the nearby village of Moncarapacho is well worth a visit. The heritage of the buildings and monuments in the interior of the town has been largely well preserved. With a prior appointment, you can visit an olive grove with an old olive press and ancient olive trees. In the fertile lands surrounding Moncarapacho and the nearby village of Quelfes are some of the best gardening companies and nurseries in the Eastern Algarve with a wide choice of ornamental plants and flowers. Besides aquaculture, another important economic factor in the Ria Formosa is the extraction of salt by the evaporation of seawater. The Flor do Sal is known as the “White Gold of the Algarve”; harvesting these very fine crystals that form in a cluster on the surface of sea water is done manually since over two thousand years. The first literary reference to the area dates from 1378, although traces of other Mediterranean cultures dating from prehistoric times are known across the Algarve and also in the Olhão region. From the 17thcentury, fishermen built their huts in the region of Olhão to take advantage of the abundant fishing resources. The region's population grew rapidly and in 1695 the parish of Nossa Senhora do Rosário de Olhão was created as a result of its separation from Quelfes. The first stone houses only appeared in the late eighteenth century. The style of construction characteristic of Olhão is an adaptation of the Arabic architecture of North Africa: Square houses with flat rooves. Where more living space was required a smaller square second floor was built above the existing one. In 1765, King Pedro I made ​​an important decision: Through the Maritime Treaty of Olhão (Compromisso Marítimo de Olhão), the same fishing rights were granted to Olhão as were enjoyed by the Algarve’s capital Faro. The building where the treaty was signed was formerly the headquarters of the Brotherhood of Sailors and later the Fisherman's House, it now houses the City Museum. The grandeur and beauty of the building underline the culture, image and self-esteem of Olhão’s inhabitants. The revolt against the occupation by the French troops of Napoleon began in Olhão in 1808. The fighting spirit spread, and in the same year, the Portuguese managed to expel the French. This feat led to the place receiving the honorary title of “Olhão da Restauração“ and its status was elevated to a village (vila). Before this, a few brave Olhão fishermen set sail in a small dinghy for Brazil to spread the good news to the Regent D. João VI who was in exile there. A replica of the dinghy “Bom Sucesso”, is moored on the waterfront. Some of the buildings in the city centre today still give an idea of the economic wealth that the flourishing fishing and canning industry brought to it. Up until the last century there were still 80 canning factories located in the town. 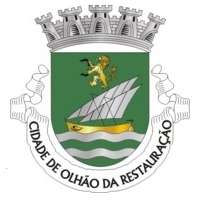 Because of this strong economic position, Olhão was elevated to city (cidade) status in 1985. But when the frozen food market took over and became more dominant than canning, the fishing industry suffered a major economic decline in Olhão as in other cities of the Algarve. In recent years, to some extent, tourism has helped to halt this decline. Actual weather conditions may significantly differ in the various locations due to the winds on the Atlantic coast. Therefore we are publishing more specific and detailed weather data and 72h weather forecast for selected spots on the Algarvian coast, including wind speed and direction, altitude of waves and rating for surfers as a special service to our visitors interested in water sports. According to our own experience, and based on judgement of the locals, this is the most accurate weather information currently available for the Algarve. The parishes of Moncarapacho e Fuseta, Olhão, Pechão and Quelfes belong to the municipality of Olhão, as does Armona Island. In 2011, there were over 45 thousand inhabitants, which was an increase of 10% in the population compared to 2001.